Concept Of Gastric Surgery. Surgeon Holding Scalpel Near Anatomical Model Of Stomach. 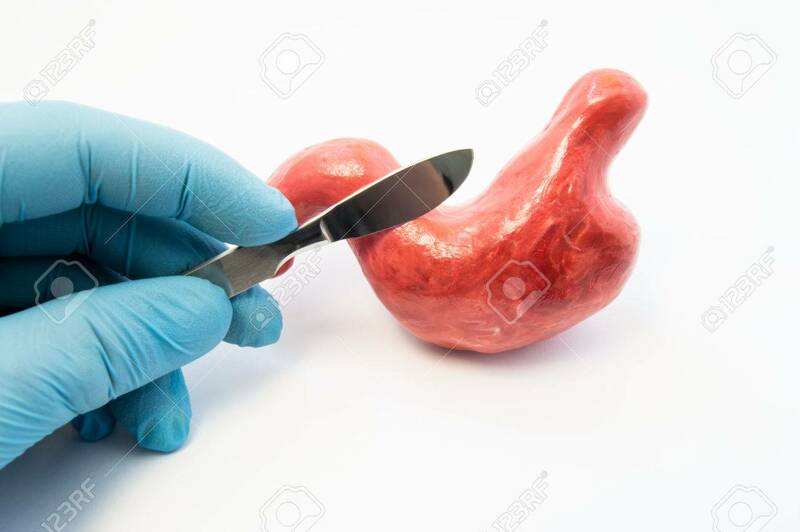 Surgery Operations And Treatment Of Diseases Of Stomach Same As Ulcer, Cancer, Removal, Reflux, Bypass Or Sleeve Royalty Free Stok Fotoğraf, Resimler, Görseller Ve Stok Fotoğrafçılık. Image 77563372.